Nothing says holiday shopping ideas better than a baseball team releasing a new uniform set in early December. Both the San Diego Padres and the Arizona Diamondbacks will offer their fanbases plenty of holiday gift ideas this Christmas and Hanukkah. While the Padres decided to make some tweaks, given their hosting of the 2016 All Star Game, the Diamondbacks decided they were going to go bold. As mentioned earlier, the Padres will be hosting this upcoming season’s All-Star Game, giving them a reason to release some ASG-branded swag for Friars fans. 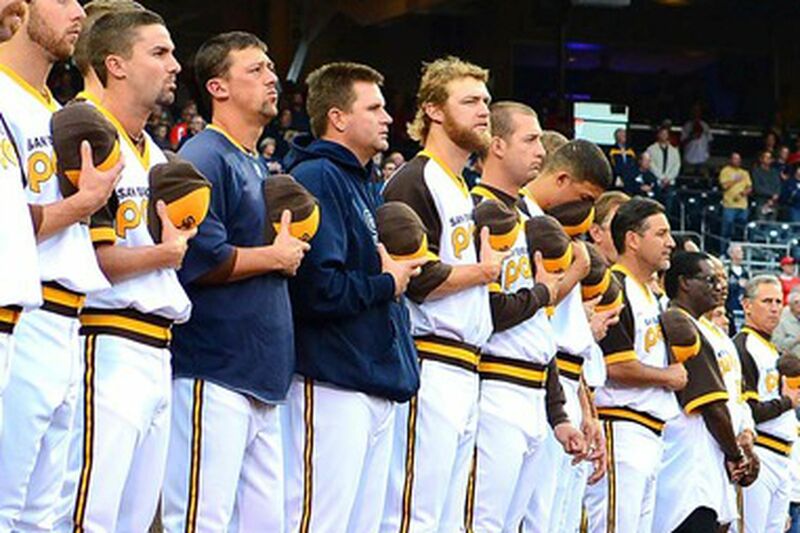 Much to the pleasure of some fans, the Padres will be wearing a Friday brown and gold alternate uniform. The home whites will be a revision of the blue alternate they’ve worn in the past, but with a yellow gold accent to the uniform. The road grey uniform will remain the same. 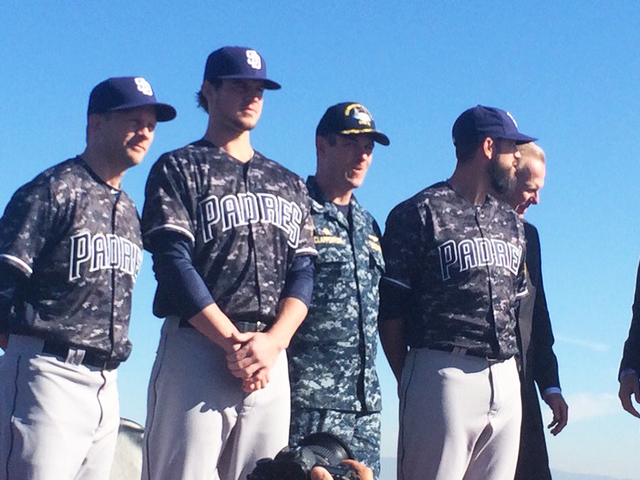 Finally, the Padres decided to give the camo uniform an upgrade, giving it a blue base, giving the Navy a special nod. 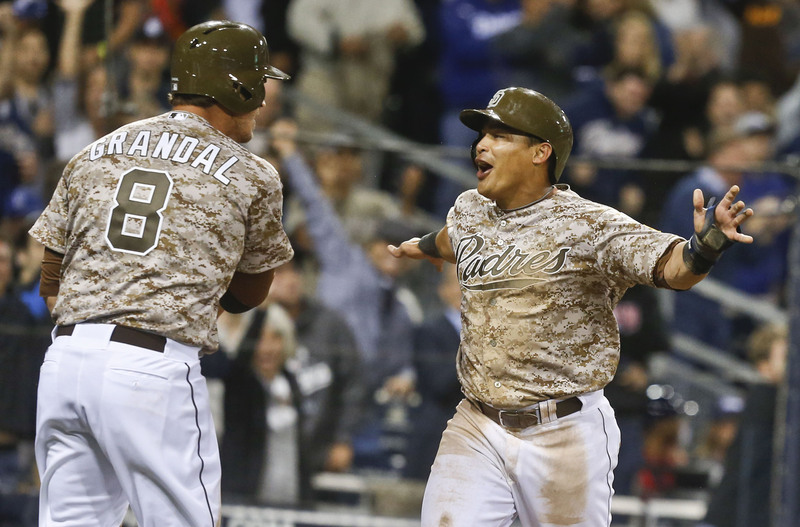 I’m a huge fan of the Padres camouflage uniforms. From their earliest incarnations, their changes along the way, even as MLB could use it as a great marketing tool, they’re great. San Diego, as a city, has such a strong association with that branch of the military. 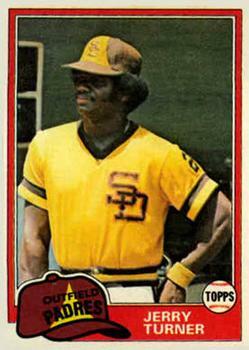 The move to a brown and gold alternate uniform has been a plea made by fans of the team for a while. The team’s front office had been thinking of bringing the original franchise colors back. Some fans have made that idea clear using social media and even concocting their own visions for the uniforms. 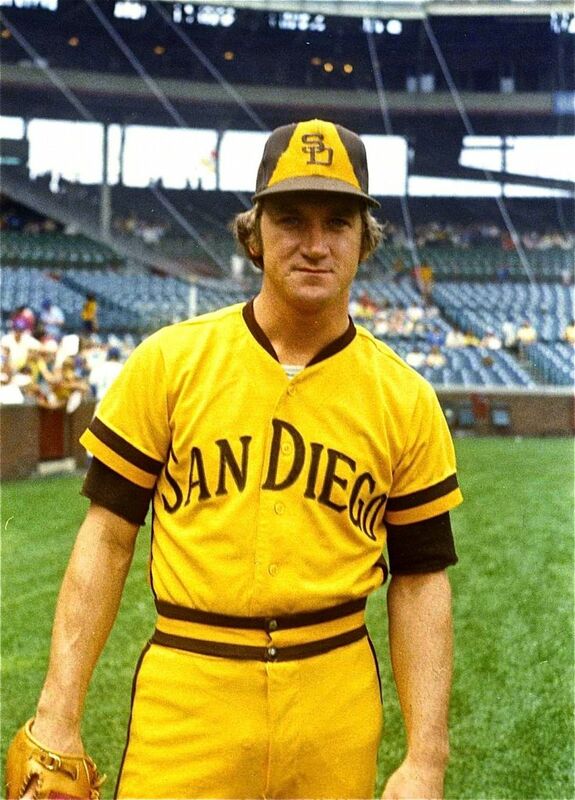 The brown and gold of the early years are as much of the identity to this team as pinstripes to the Yankees and Dodger blue for the Los Angeles Dodgers. That’s not to say this team has not had “Turn Back the Clock” Nights, taking the looks of their pennant winning 1984 club and of the home and away versions of the late 1970’s teams. 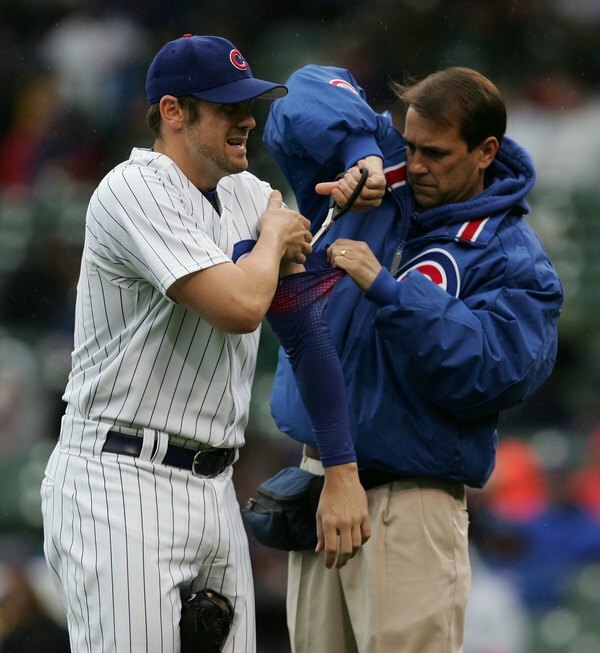 It should be reinstated as the teams colors. 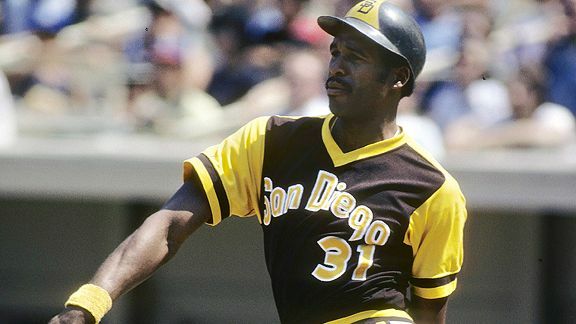 With the idea of “everything old being new” in style these days, you would think that fans would be buying up the jerseys that Dave Winfield, Jerry Turner or Randy Jones made cool. 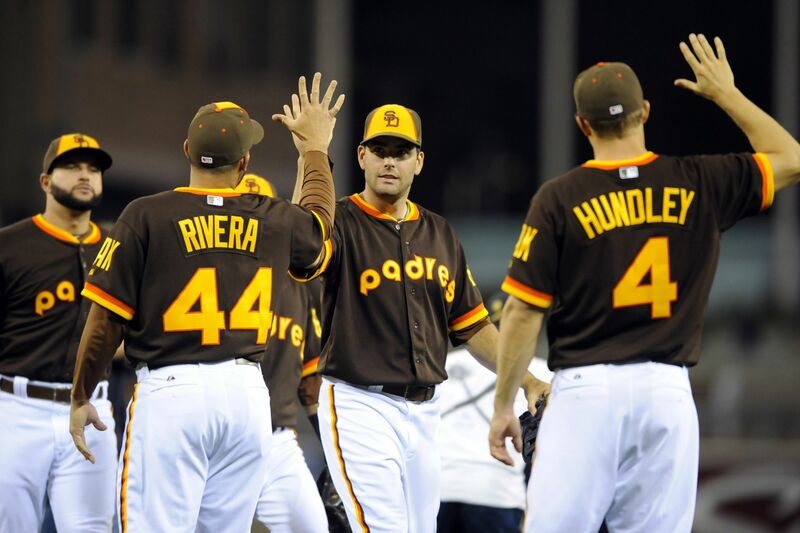 If only the “Padres” script on the brown jerseys did not look terrible. Plus they need to add the “Swinging Friar” logo. Granted those are my own personal tastes on haute Padres design. The Diamondbacks also channeled their roots in their new uniform set. Then again “set” is not the right word to describe it, the new Diamondbacks uniform series? Arizona has eight different uniforms and seven different hats that they will be wearing in 2016. This will include a pairing with the old colors of purple and teal, similar to the ones they wore in their 2001 championship season. The Diamondbacks, in two years work with Majestic, have put an added wrinkle in MLB uniforms. Borrowing from the unique design of the Oregon Ducks football uniform system, the Diamondbacks will feature a gradient pebble design on the shoulders of the tops and the cuff of the pants. 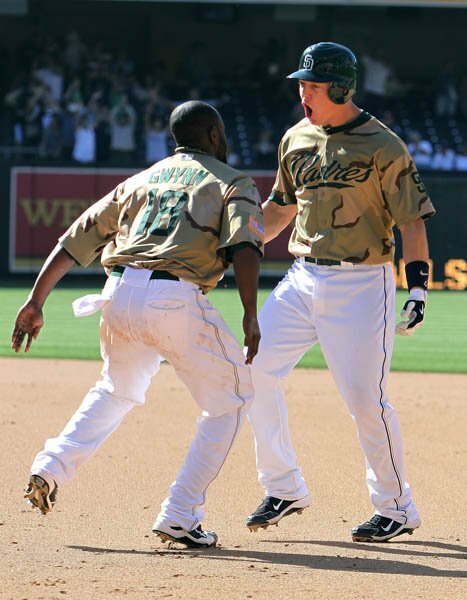 These uniforms are as aggressive a design since the panned “Turn the Clock Ahead” uniforms of the late 1990’s. The pebble or dot effect feels reminiscent to the old Nike compression tops from ten years ago. While I am not going to be buying the new Paul Goldschmidt jersey anytime soon, it’s refreshing to see a team try something different. It will be interesting over time to see how the long-term acceptance of the colors and design go with the fans. 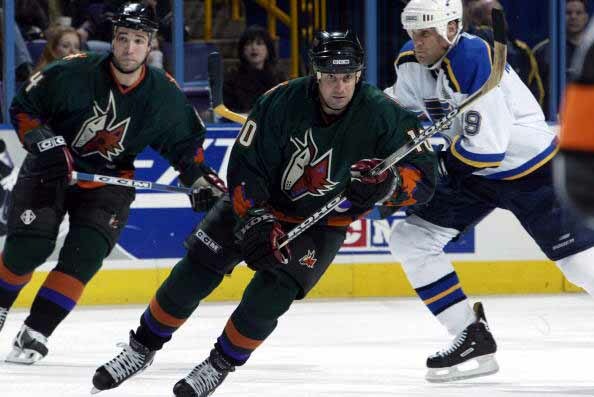 For baseball fans like me, who also love the original jersey sets for the Phoenix Glendale Arizona Coyotes, it has a similar look and feel. 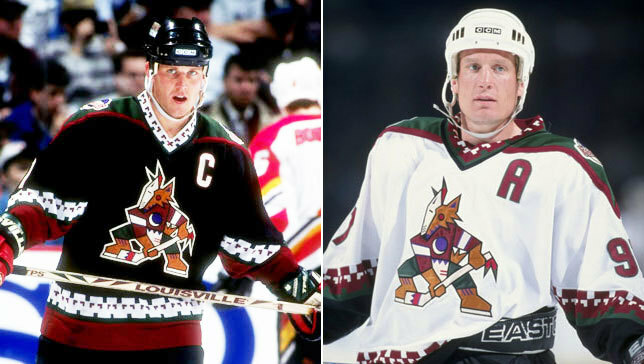 Thankfully the Diamondbacks don’t have the “Peyote Coyote” equivalent to their new duds. Play-by-play announcer for RLM Sports covering Cornell sports. Formerly with the Geneva Red Wings of the NYCBL. 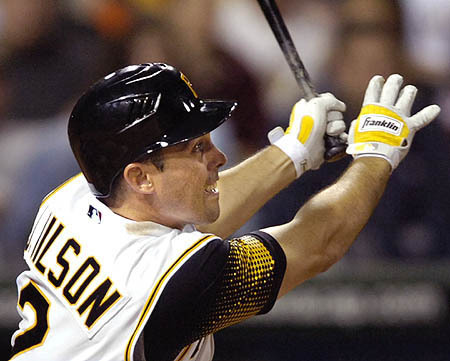 A former high school outfielder with plus speed but a batting average well below the Mendoza line.